Includes the best-selling His & Her workbooks for couples. 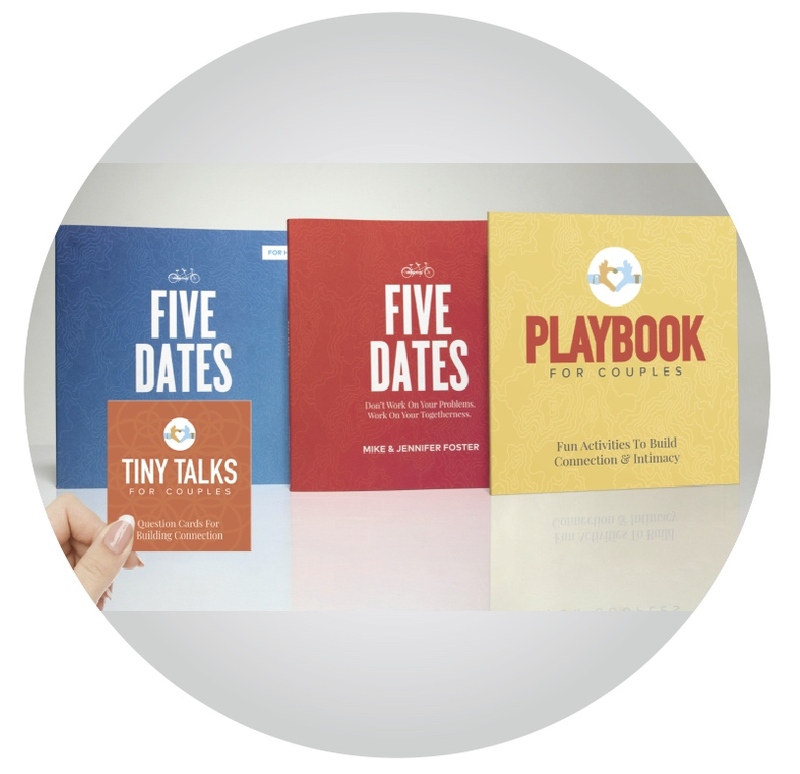 Includes His & Her workbooks plus Playbook & Tiny Talk cards. Mike and Jennifer share why most relationship enrichment tools often fail to help. "Mike and Jennifer bring a fresh approach to building real and lasting connection. We loved Five Dates!" Hi! We're Mike and Jennifer Foster and we've been married for 22 years. We have two teenage kids and a fluffy Pomeranian dog. For the past 15 years our work has been focused on helping people experience fun and flourishing lives. We live in San Diego, CA.